Moffats rock is a small sandstone crag just South of Otaki. It has been used for years by local climbers and outdoor providers and in 2013 new anchors and lead protection was placed. There are a few short sport routes here and the steep face can be top roped. Please respect the landowners wishes and call before visiting. The Moffat family can be reached on (06) 3643486. Park on Parenga Road only, not the Moffat farm. 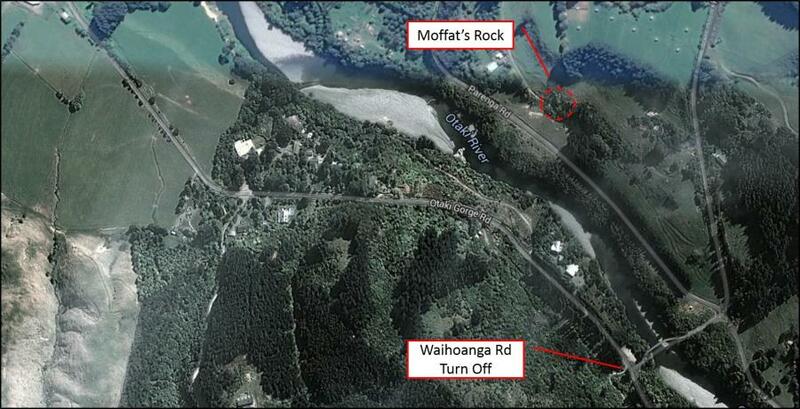 Moffats Rock is located on the North side of the Otaki River, a short drive up the Otaki Gorge. 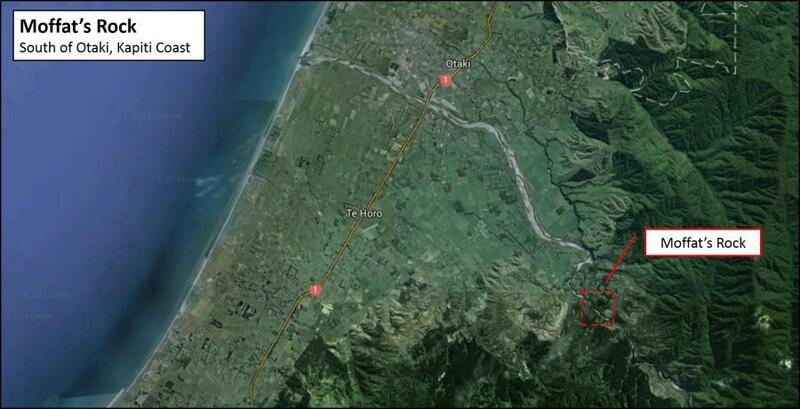 From State Highway 1 immediately South of Otaki turn on to Otaki Gorge Rd and follow inland. Approx 8km inland turn left onto Waihoanga Rd bridge crossing the Otaki River. Take a sharp left on to Parenga Rd and 300m up the road on the right is the Moffat farm. The crag is visible from the road, park on Parenga Rd and walk in.